Can you keep bantams and big chickens together? 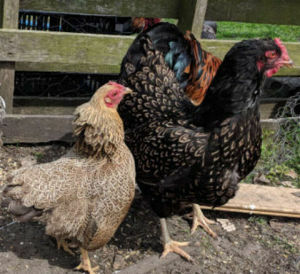 So you are worried if you leave them together in the same coop or outdoors in the run where there is no escape the bantams might be bullied and injured or worse. 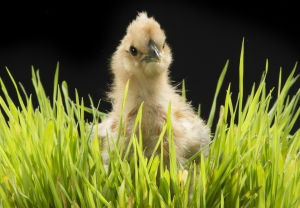 Can bantams chickens live with standard birds? Yes, you can very easily keep bantams and large fowl chickens or ducks together. It requires some care and a bit of luck but I have a few tips below that might make it much easier. I have several quite large flocks with both bantams and large fowl chickens. As a rule it is easier to integrate younger or larger groups of birds. So if there are more bantams than big birds or if the chickens are younger it will be easier. The most difficult thing you could do is integrate one fully grown chicken to a flock of 2 others, this is a recipe for bullying. Space. the more room they have the better. Feed and water. Two sources of both where one can not be seen from the other and well fed chickens are less likely to be a problem. Older bantams and younger large fowl make the size difference less apparent. Toys , hanging cabbages and other distractions including perches. Time. Being in a rush is counter productive. Hatch and raise them together as brood mates. 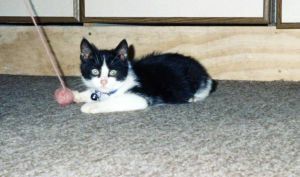 Choose docile easy going breeds like Barnevelders or Orpingtons. Size, age, health, and personality are all factors that contribute to a chickens position in the pecking order and thus its status. 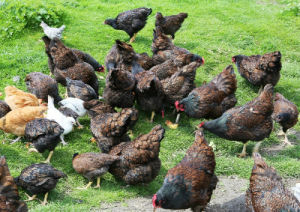 I have successfully integrated quite a few bantam pullets into a flock of adult large birds on many occasions. My usual time line for introducing the new chicks to the flock is 8 to 10 weeks. 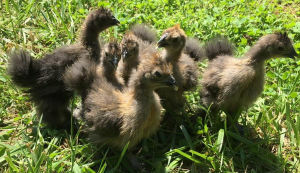 The chicks must be fully feathered, and a similar size of the chickens they are joining. Skip this part if it is not an option. It requires some strong herbs like basil, sage, mint or rosemary and a blender. When it is dark enough for all your chickens to roost take the herb of your choice and blend it up as fine as you can without it becoming a paste or sloppy mess, just bits. Take the blended herb and rub it all over the all the chickens from both flocks being mixed and sprinkle it in the nests and around the coop. Everyone and everything should be as herby as possible. Let the birds wake up together in the morning together and now they all smell the same. Keep an eye and repeat the next night if you need to. I have used this method with great success many times. The only thing to check for is that the big girls are not hogging all the treats. As they are so bigger that they just vacuum up all the treats before the bantams can get a beakful. Scatter the treats around enough that the big chickens can't eat everything, they can't be everywhere at once, and the little bantams have a chance to get treats. 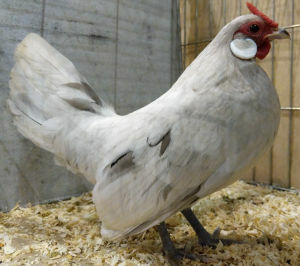 Adding small bantams to large more aggressive breed is not likely to end well. 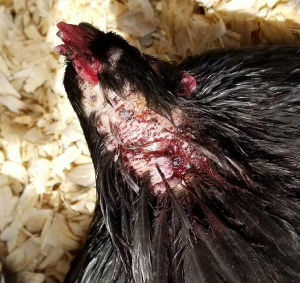 A sharp hard peck on the head from a grumpy hen can damage or kill a tiny bantam pullet. 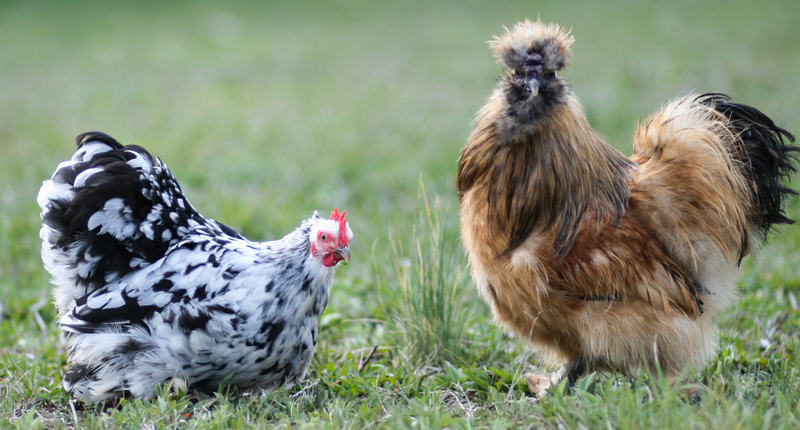 A full size rooster trying to mate with a small bantam pullet can damage or hurt the little one. Below: Some chickens can be quite nasty. I have only once had a bad outcome from integrating small breeds into large breeds. If they are raised together I almost always never have issues. Will large chickens bully smaller bantams? So your Large fowl chickens are pecking and chasing your bantams, how long will this go on for? Actually it is quite funny but you are just as likely to have the opposite problem. The chickens do not know how big they are, only how big they think they are and I have plenty of bantams that stand up to the big hens with out a second thought. Pecking orders need to be re-established and this can take time. You may need to keep them separate for now. Below: Bantams are more than capable of standing up for themselves. It is good that both flocks can see each other, but to integrate, you will need to gradually increase contact. This should be relatively easy if they free range for part of the day. You can let both flocks outdoors late in the day just before roosting time. If there is trouble then it will be short lived. Bantams will be need to be able to escape when big ones chase. Upturned crates or plastic totes with holes in big enough for only the bantams might help. If you see violence, you can separate, and try again the next day. Little by little, they will get used to each other, and develop a stable pecking order, which will help them all settle down. Whether the bantams continue to get bullied depends on how much space they have and how much opportunity to forage in good habitat. If they are confined all day with nothing better to do, you will have problems with fighting, bullying and feather pecking, whether they are bantams or not. How long until chickens get along? This is age, temperament and breed specific. Between 20 minutes and 3 weeks. 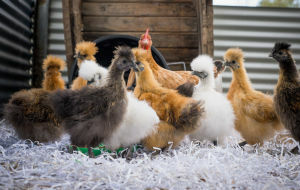 My Silkies don't care at all if there are new additions to the flock, they are happy with anyone. My Orpingtons are much the same, there was a bit of staring and some rusty gate noises across the feed bowl but that had passes within a day or two. I think they dislike change, and adding more birds is always going to be a bit of a challenge. Some birds deal with it better than others. The most difficult chickens I had were leghorns. Weeks of sqabbling and bleeding combs over nothing at all. Can you mix bantams, chickens and ducks together? I have 4 female runner ducks and a drake and they have got along with my hens for years just fine, by mostly ignoring each other completely. Just as a word of warning, chickens can sometimes find a ducks webbed toes fascinating and this can cause some pecking and annoyed ducks. It normally stops in a day or two. Ducks don't like having their feet pulled out from underneath them. My only piece of advice is to get a similar number and size of chickens as you have ducks. Ducks seem to get along with ducks just fine regardless of the size.